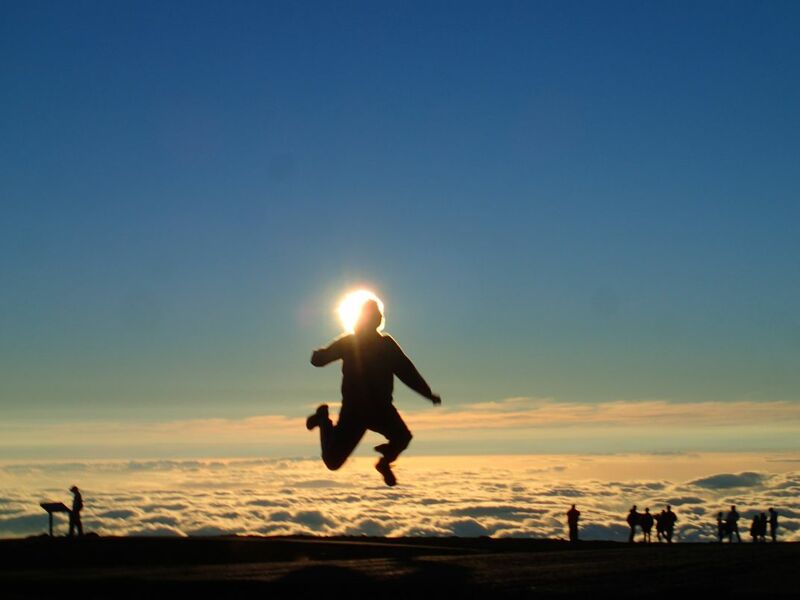 This was taking on top of Haleakala Volcano in Hawaii. We wanted to get a shot where it appeared that the sun was part of the head of the person being photographed. Date Uploaded: Sept. 4, 2015, 8:33 p.m.